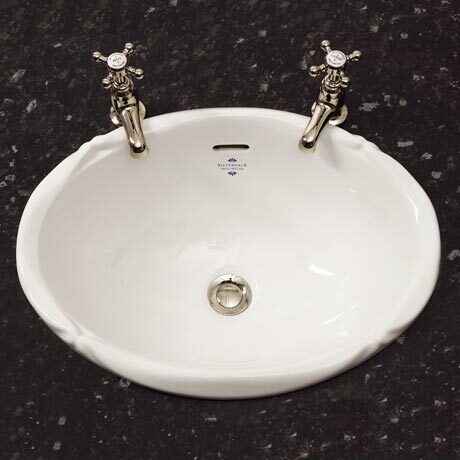 A beautifully traditional Victorian 510mm wide inset vanity basin from Silverdale Bathrooms. This stylish inset basin has been designed to be mounted into a worktop or piece of vanity furniture. Each individual piece of sanitary ware has been carefully considered in its design, being based on authentic original pieces and lovingly re-created. Please note - Taps and wastes shown in images are not included.